Need a good laugh at the end of a hard day, but don’t want to drive back into the city? W.I.T has the answer. Crash and burn elimination improvisation where the audience decides the winner. Comedy for those that need it most! 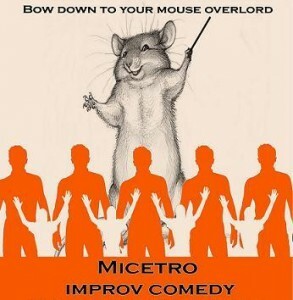 This entry was posted in Micetro, past shows and tagged comedy, Fringe, Fringe Festival, improv, improvisation on February 1, 2008 by MaDmin.